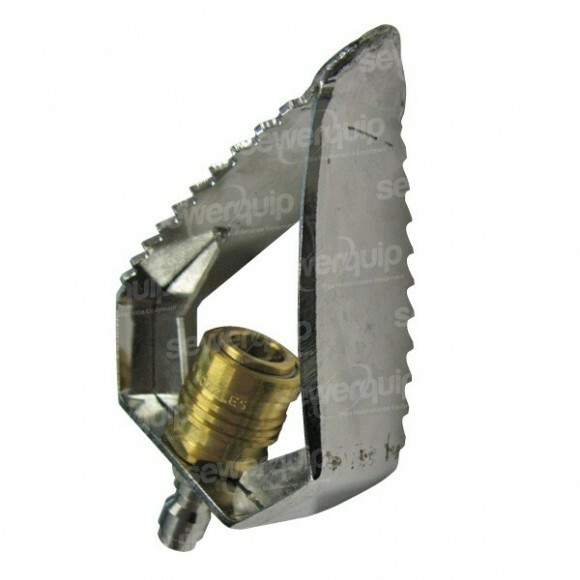 The stainless steel Blade Cutter adapts onto the Reverse Turbine so you can feel that the drain has been cleaned 100%. Perfect for 6" lines where it is harder to feel if all the roots are gone. Fits around all 100mm bends, gullies, boundary traps etc.